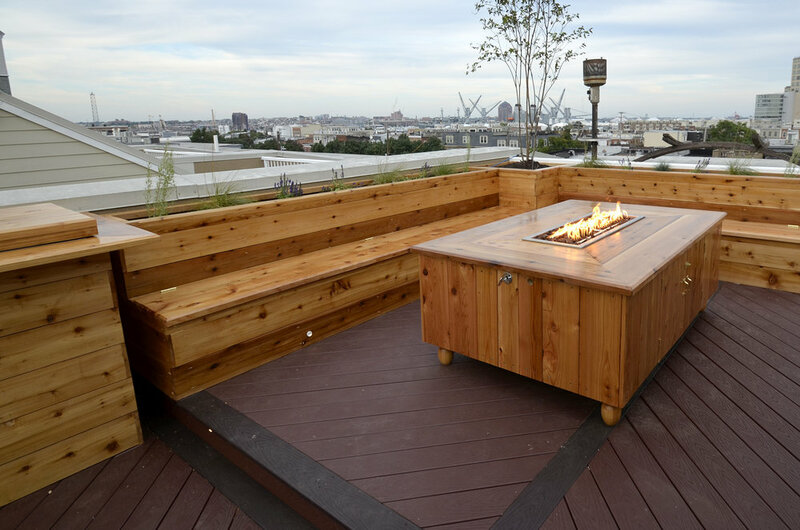 This outdoor entertainment area gives a place to cozy up and have a drink by the fire with friends. A small urban courtyard offers a spacious and private retreat for a family of four. We transformed a steep, overgrown hill into an eco-friendly living space that allows homeowners to entertain guests of the bird, butterfly or human variety. 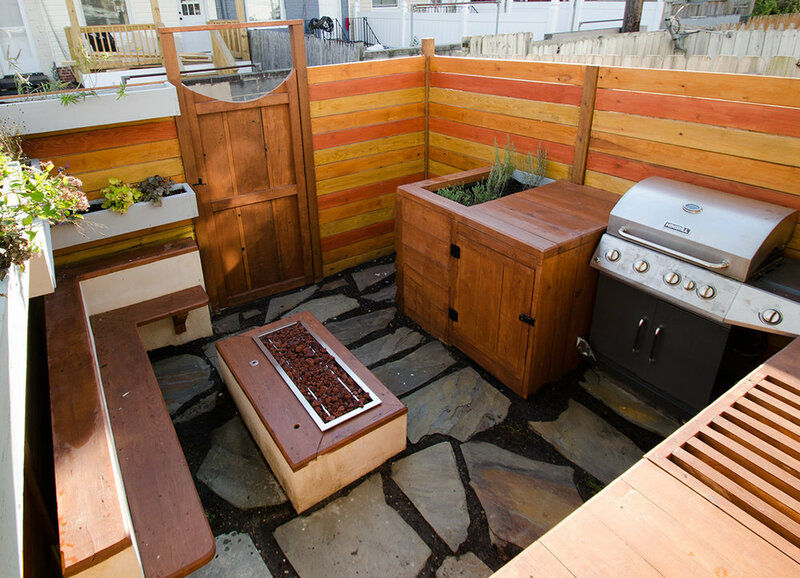 We created an outdoor family room in Patterson Park that allows a private space to cook, eat, relax and play. 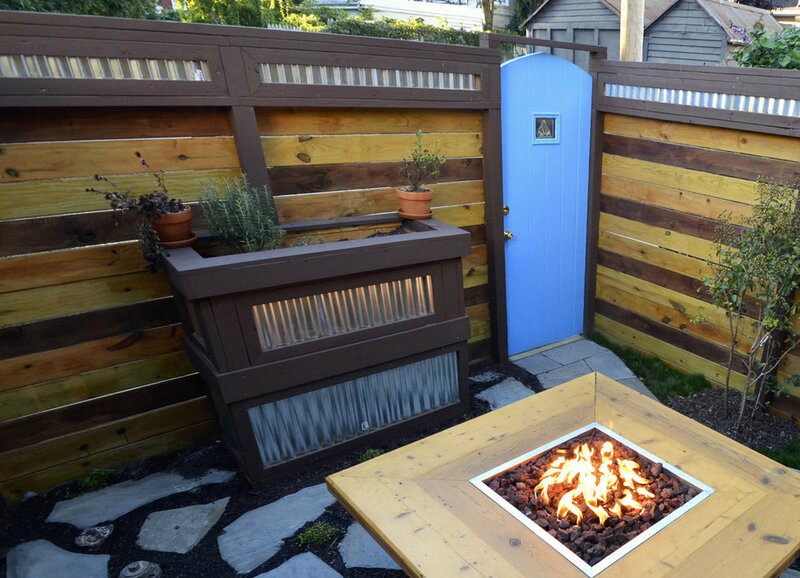 We created a zen-inspired retreat setting with a privacy fence and fire pit so this yard truly feels like being in your own private oasis day or night. Our vision was to create a space that incorporated all the elements: water, air, earth and fire. This home gained an extra floor of outdoor living - with a view.